Making a last-minute reservation with HotelTonight? Send your receipt directly to Expensify with one click and go enjoy the minibar. Scan your receipts directly into Expensify with ScanSnap. 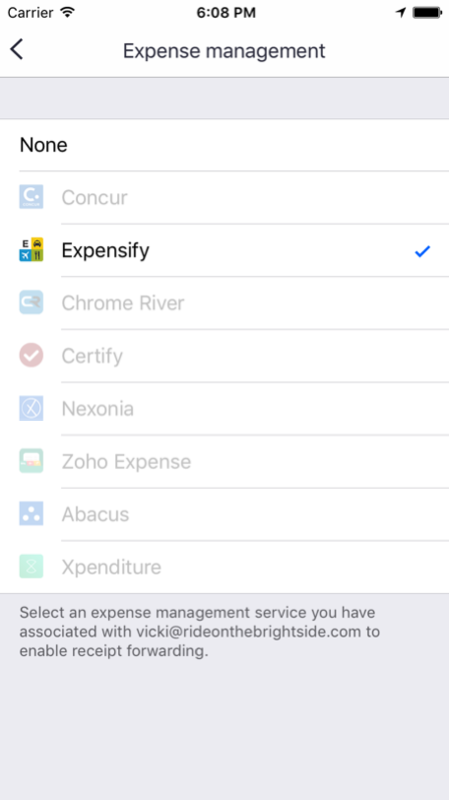 Once they arrive into Expensify we'll SmartScan your receipts and create expenses for them. Urban drivers spend an average of 20 minutes looking for a parking spot, and it takes 20 minutes to complete a manual expense report. Save time by reserving parking with SpotHero, and Expensify will automatically create an expense report from your reservation. Enjoy that extra 40 minutes to prepare for your meeting, and use promo code EXPENSIFY for $10 off your first parking reservation! Keep your receipts in the rearview with Expensify and The Parking Spot! Reserve a space with The Parking Spot’s white-glove, near-airport parking service before your trip, and let Expensify valet the receipt. Find airport restaurants and place your order with Grab's mobile app, then send your receipt to Expensify for easy reporting. Let Expensify and ParkWhiz keep you out of the loading zone! Find and book guaranteed parking in advance with ParkWhiz, then auto-expense your receipt with Expensify. Save $10 on your first ParkWhiz booking with promo code "EXPENSIFY"! 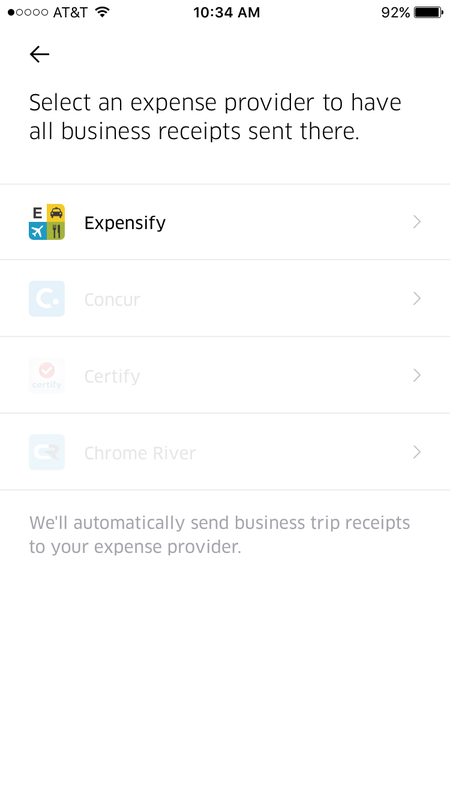 Set your receipts on autopilot with the Expensify + Jettly integration! Book a private jet charter through Jettly’s worldwide marketplace of luxury aircraft and connect Expensify so your receipts land right where they should, automatically. Automatically import your digital receipts from travel providers, car and parking services, food delivery services, catering companies, point-of-sale systems, and more! Your ride is now complete. Don't forget to rate your driver. Your room at The W San Francisco is reserved for this weekend. Say goodbye to paper receipts and never miss an expense again! Expensify automatically imports your receipts so you don't have to worry about tracking them down later. Whenever Expensify imports a receipt, it transcribes the data onto an expense report for automatic submission and reimbursement – no need to wait around! Let us do your expense report for you!